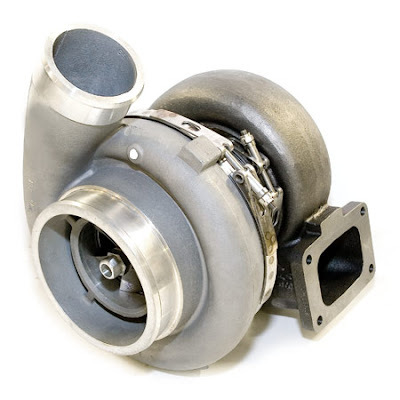 The next step in the evolution of the turbocharger is here! 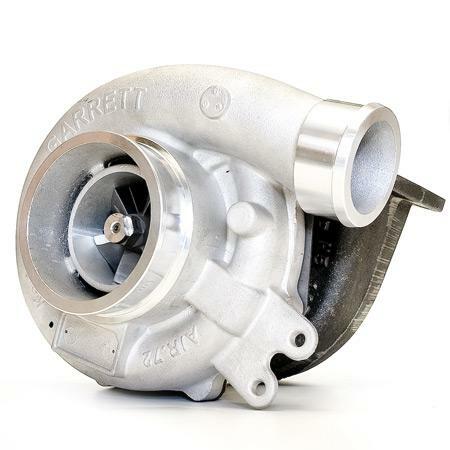 Garrett ® GTX-R Turbos feature all new compressor wheels with next generation aerodynamics and improved ef fi ciency to deliver wicked performance! Garrett ® GTX-R Turbochargers provide higher fl ow and greater boost pressure ratios beyond the world-class Garrett GT Series compressor wheels. . 10%+ Gain in fl ow over traditional GT compressor wheel designs . 10%+ Higher pressure ratio compared to traditional GT compressor wheel designs . Forged, fully machined wheels (billet) for expedited release . 11 Full-blade design for improved ef fi ciency and ultra quiet operation . Outline interchangeable with Garrett ® GT Series turbos . Garrett ® OE-quality for unbeatable reliability The map below clearly shows the gains made in compressor wheel technology over three generations of similarly-sized turbos, from T-Series, through GT and now GTX. Take the next step in turbocharging: Garrett ® GTX-R Garrett GTX-R turbochargers will be available through Garrett ® Performance Distributors and Garrett ® Master Distributors in early 2010. Initially available will be: . 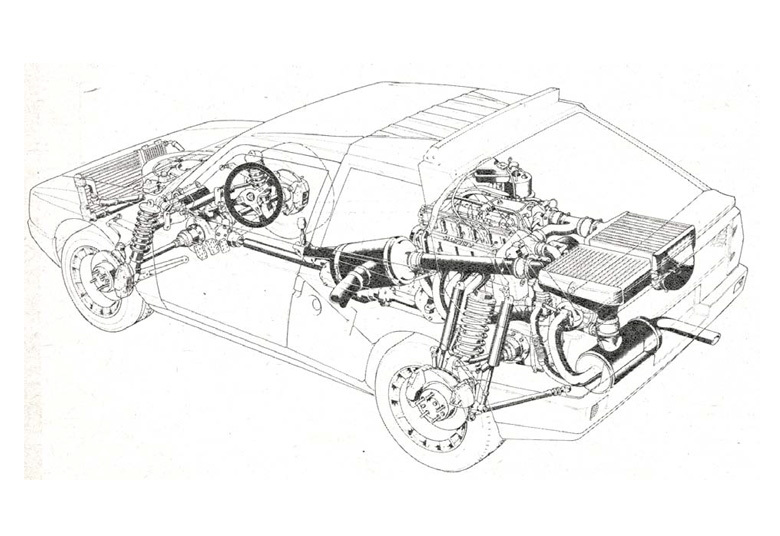 GTX4294R (map below) . GTX4202R . GTX4508R More models available soon! 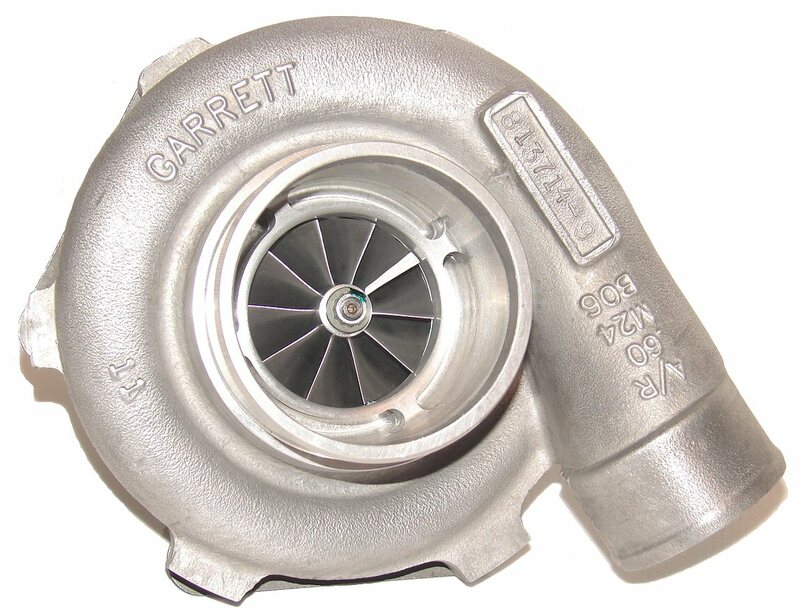 History of GARRETT turbo company. 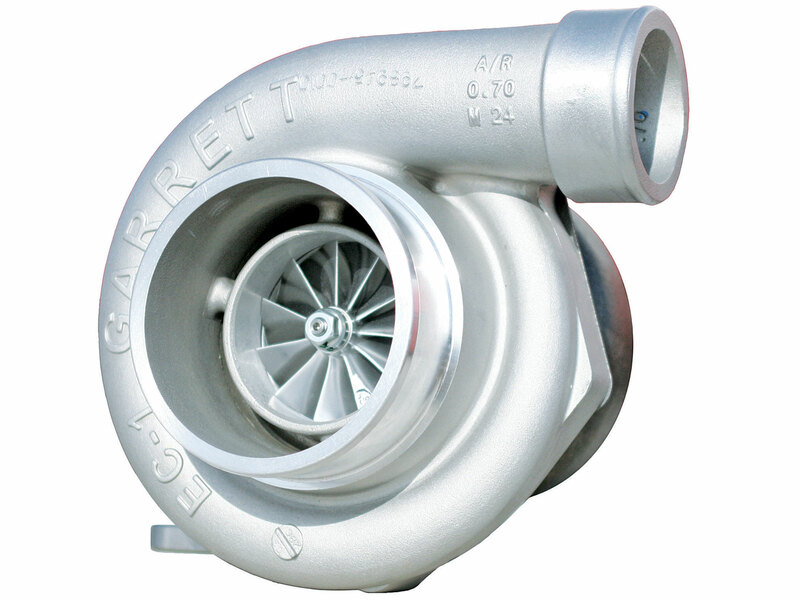 Garrett AiResearch was a manufacturer of turboprop engines and turbochargers, and a pioneer in numerous aerospace technologies. It was previously known as Aircraft Tool and Supply Company, Garrett Supply Company, AiResearch Manufacturing Company, or simply AiResearch. In 1968, Garrett AiResearch merged with Signal Oil & Gas to form Signal Companies, which in 1985 merged with Allied Corp. into AlliedSignal. In 1999 AlliedSignal acquired Honeywell and adopted the Honeywell name. Founding years John Clifford Cliff Garrett founded a company in Los Angeles in 1936 which came to be known as Garrett AiResearch or simply AiResearch. Already operating his Garrett Supply and Airsupply businesses, in 1939 Cliff Garrett established a small research laboratory to conduct air research on the development of pressurized flight for passenger aircraft. AiResearch's first lab was a small store building on Melrose Avenue in Los Angeles. In 1939 Garrett incorporated the Garrett Corporation and the three operating companies became divisions: Airsupply Division, Garrett Supply Division, and AiResearch Manufacturing Division. Needing additional space, they built their own manufacturing facility in Glendale, California, and thereby established the name AiResearch Manufacturing Company. By 1941, AiResearch needed new space, and on April 28, 1941 moved from Glendale to what until then had been a beanfield on Sepulveda Boulevard, at the corner of Century Boulevard near Mines Field, which later became Los Angeles Airport.4 In 1942, the Army Air Force concluded that vital cabin pressurization manufacturing facilities should be relocated inland from the coast, and AiResearch set up the AiResearch Phoenix Division in Phoenix, Arizona. For this purpose, AiResearch Manufacturing Company of Arizona was established as a wholly owned subsidiary. 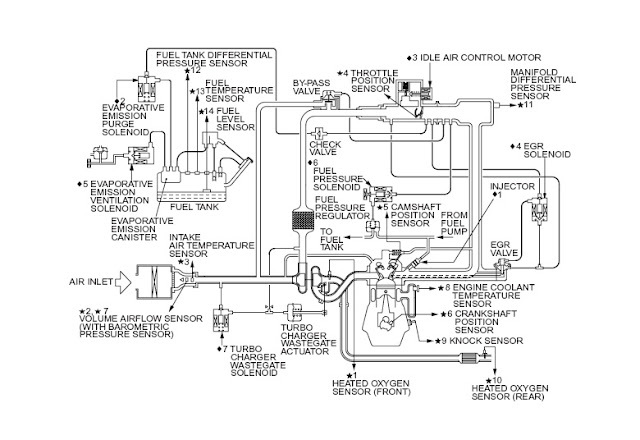 Product-line evolution 1939 through 1949 The Company's first major product was an oil cooler for military aircraft. Garrett designed and produced oil coolers for the Douglas DB-7. Boeing's B-17 bombers, credited with a major difference in the air war in Europe and the Pacific, were outfitted with Garrett intercoolers, as was the B-25. The Company developed and produced the cabin pressure system for the B-29 bomber, the first production bomber pressurized for high altitude flying. By the end of World War II, AiResearch engineers had developed air expansion cooling turbines for America's first jet aircraft, the Lockheed P-80 Shooting Star. In all during World War II, Garrett AiResearch sold $112 million in military equipment and had as many as 5,000 employees at peak. Having to scale back its workforce to just 600 employees at the end of the war stimulated Garrett to look for new income sources. "He found them in the small turbines which patient Engineer Walter Ramsaur had been perfecting since 1943. So that jet pilots could endure the heat generated by air friction at supersonic speeds, a way had to be found to cool their cockpits. Ramsaur's turbine provided the answer; by putting an engine's heat to work turning the turbine, it cooled the air by expanding it, shot the air into the cockpit. As rearmament got under way, Garrett began turning out a total of 700 accessory products. With the Navy order for an on-board engine self-starter, by 1951 Garrett Corp. had a $120 million backlog, enough to keep 5,500 workers on three shifts busy for at least the next three years". By the end of the 1940s, Garrett Corporation was listed on the New York Stock Exchange. 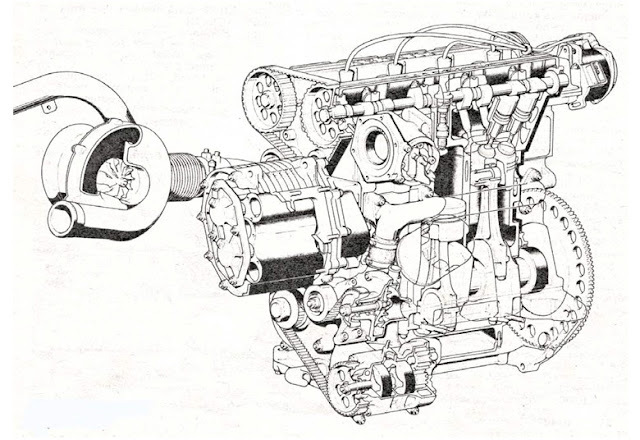 "In the late 1940s and early 1950s, Garrett was heavily committed to the design of small gas turbine engines from 20 - 90 horse power (15 - 67 kW). The engineers had developed a good background in the metallurgy of housings, high speed seals, radial inflow turbines, and centrifugal compressors". How to work turbo 3D video. Increasing the power of the four-stroke internal combustion can be achieved in several ways: -By increasing the working volume; -Increasing the speed; -Through turbocharging. 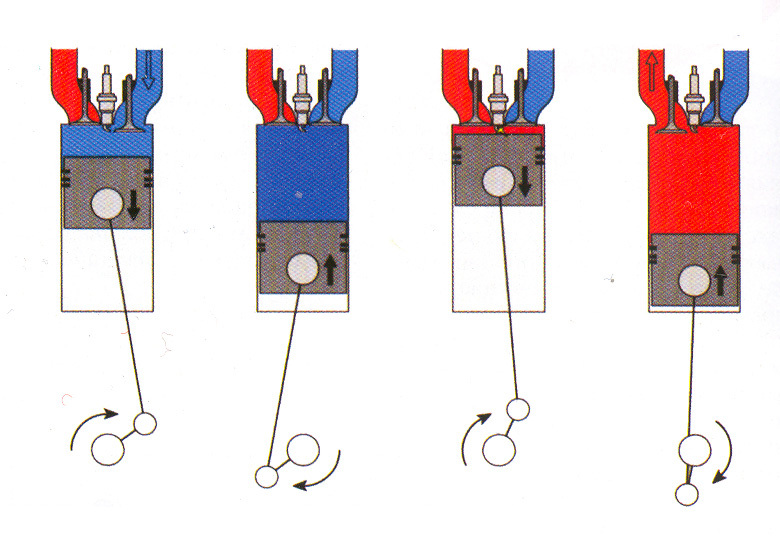 In the first two ways during the suction stroke air goes directly into the cylinders under the influence of the difference in air pressure and vacuum that is created by the movement of the piston at bottom dead center. 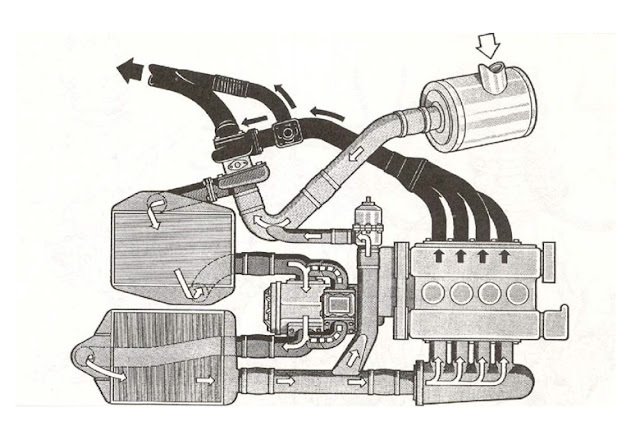 When intake air compressors is already compressed before entering the tsilindrite.The engine same volume of air sucked, but thanks to its high combustion chamber pressure comes more air masa.Tova means you can burn more fuel , which explains the increase in power at the same engine speed and displacement. Apply two methods to compress the air: a mechanical supercharger and turbocharger through driven by exhaust gases. In the mechanical supercharged air needed for combustion is compressed by a compressor driven directly from dvigatelya.Chast the increased power is devoted to the first drive the compressor and reaches about 15% of that of the engine. 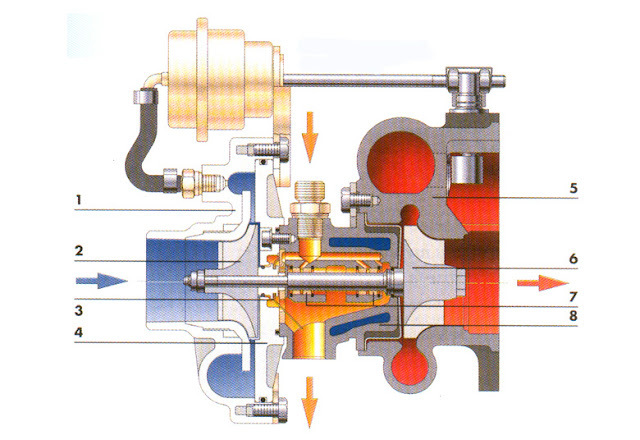 In most of the turbocharger exhaust gas energy that is usually lost, used to drive turbinata.Turbinnoto wheel is a common shaft with the compressor and thus drives the compressor, which compresses the air entering the engine. 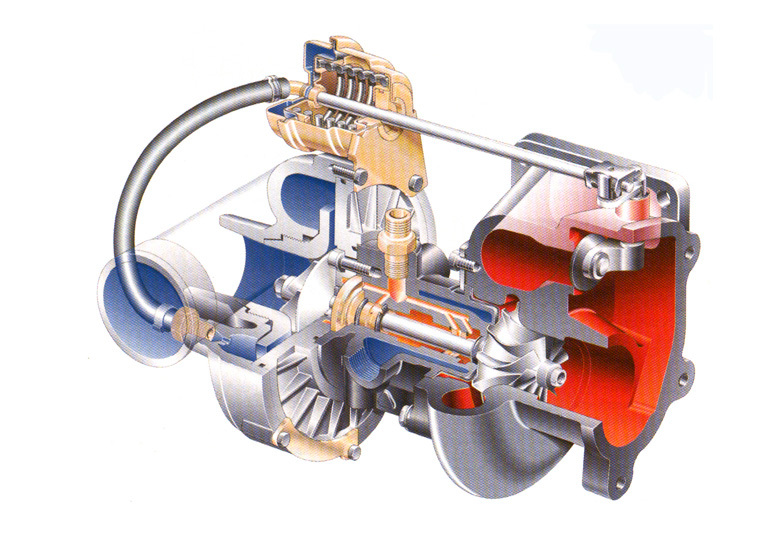 Turbocharger turbine includes a turbine wheel and housing converts the energy of the exhaust gas into mechanical energy engine driving the compressor. 2. In the spiral casing (also called "snail") exhaust gas pressure is converted into kinetic energy and gases are directed to the periphery of the turbine wheel, which creates torque. Compressors used in turbo, centrifugal and mainly consist of three main elements: compressor wheel, diffuser and korpus.Vsledstvie rotation of air enters axially significantly increased speed and comes in a radial acceleration slows napravlenie.Difuzorat air almost without losses so that the pressure and temperature increase. Thickening the air increases its temperature, which can reach 180 ° C.Kogato this air cool in a special cooler, density, and hence the engine power can be increased dopalnitelno.Nay prevalent intercoolers are like "air / Air "/ intercooler /. 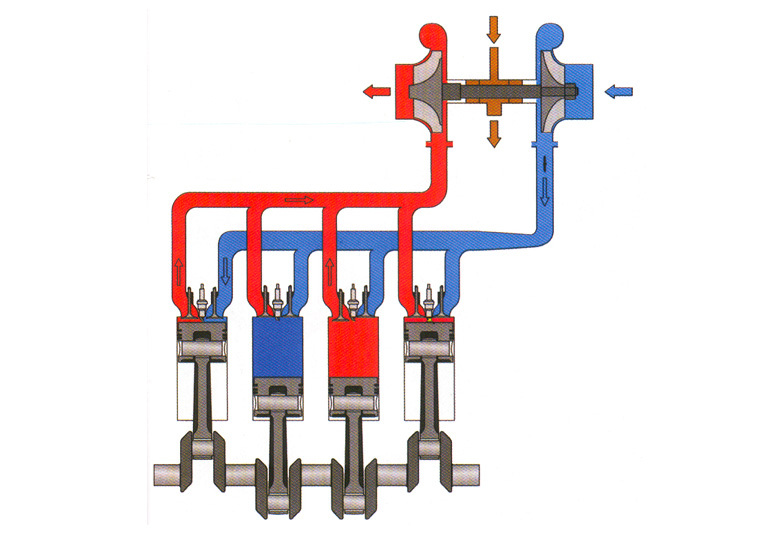 Modern cars have VRTS injection system voda.Kogato temperature of air entering the engine exceeds a certain value (napr.60 ° C), after cooling of compressed air is injected voda.Spetsialnite pumps and nozzles spray water in the form of magla.Efekta is greater when using a mixture of water and spirt.Upravlenieto is motora.Dobavyaneto electronic block of water significantly reduces the thermal load on the engine and allow to increase its power. 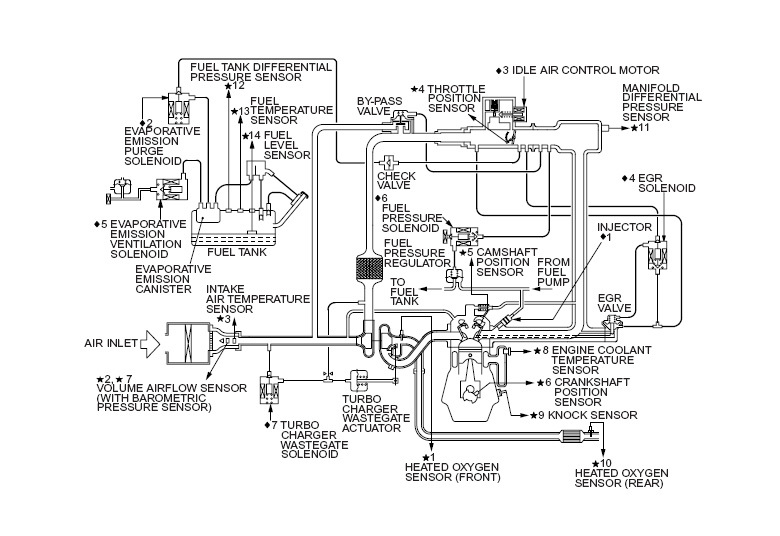 Note: From 2006 FIA did not allow the use of such systems. There is another way of additional cooling water from several vents in front air coolant under certain conditions voda.Tova injected is less efficient, but much is simply an additional ohlazhdane.Prilaga and serial cars Mitsubishi / Evo / Subaru and / VRH /. In recent years, work hard to improve the regulation of turbochargers to achieve better performance of the motors in all operating modes t.e.da become elastichni.Ima several ways of doing this: By-passing of gas to the turbine; Variable-geometry turbine; -A combination of both. 5 That scheme Mitsubishi Evo VIII: Modern turbochargers are very advanced in material, design, technology, compared with those of 70 godini.Togava major problem is the delayed response dvigatelya.Sportnite cars were low geometric compression ratio (0.5-napr.6 as to can light) with large turbochargers, which have great flow and pressure, but the downside slowly, belatedly lack the engine parametri.Zatova example, Lanqing Delta S4 with two turbochargers and mechanical works турбокомпресор.Механичният low and medium revs and turns off once they are created optimal conditions for the turbocharger. 7 Modern rally cars have restriktor/gr.A-Ø34mm., Gr.N-Ø32mm/na entrance kompresora.Tova imposed by the FIA ​​to limit maximum moshtnost.Zatova work on engines focus on improving torque at low revs and in a wide speed range. To reduce the effect of turbo Toyota introduced a so-called "anti-lag" system for partially or fully closed throttle keeps turbocharger speed and he is ready to achieve effective rabota.This fed more fuel and ignition Its an open wastegate ie turbinata.This to raise the gas temperature from 800 to 1100 º C and extra strain турбокомпресора.Температурата exhaust gas is controlled and in excess of certain limits electronic control unit motor off "anti-lag" system. The maximum operating speed of turbokopresorite vary among species and structures, but range from 120-150-180 000 rev / min. 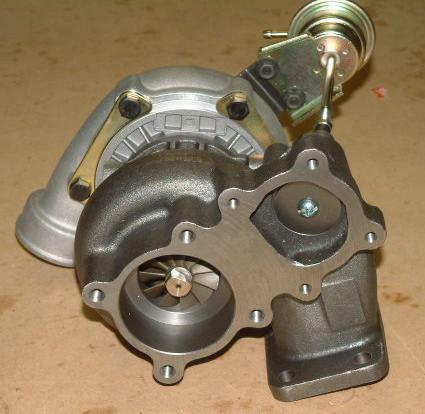 The weight of the turbine and compressor wheel should be minimal to a small turbocharger inertnost. But, bearings and titanium wheels are no longer rare. 8 This is characteristic of the compressor pressure control, which shows the dependence of the air flow rate and pressure him, having invested compressor wheel speed and efficiency the compressor. 9 The turbine, which shows the dependence of the pressure drop of the exhaust before and after the turbine on the amount of gas that passes through it, having spent the speed of the turbine wheel and efficiency the turbine. 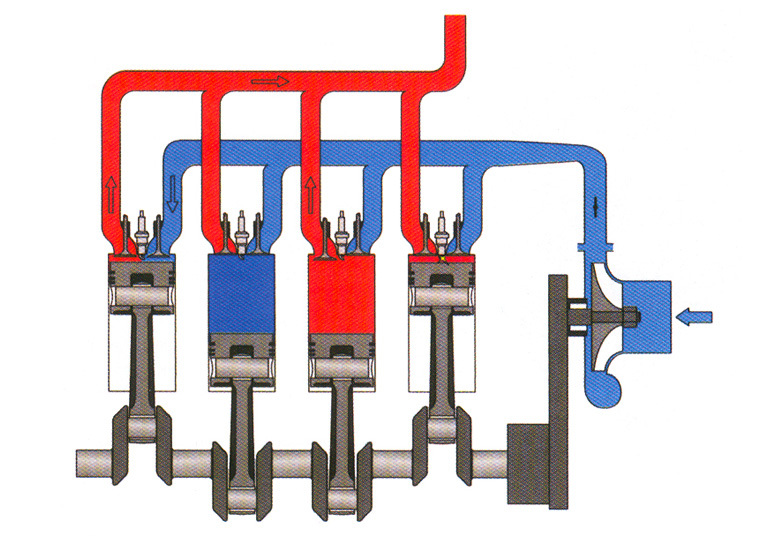 Although motor, turbine and compressor are separate, complex enough units it is important to synchronize their work because performance of each depends also affects the operation and performance of others.